Austrian Federal Ministry of Science, Research and Economy honours doctoral dissertation. 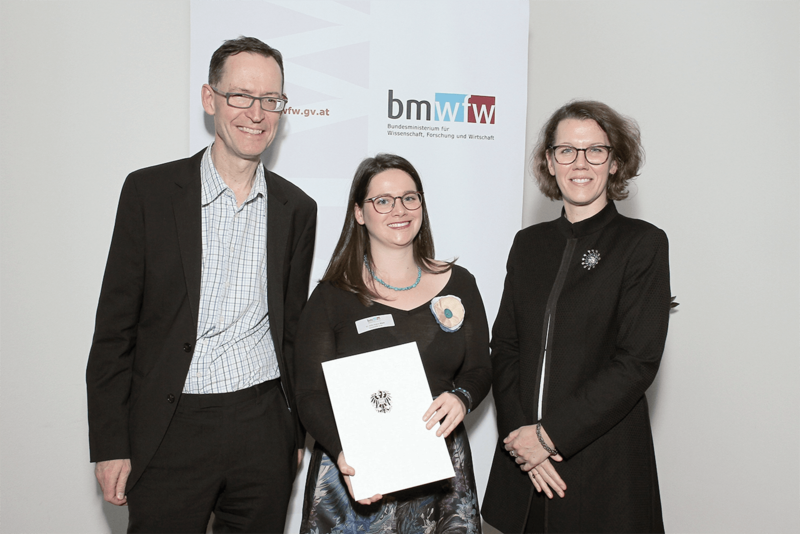 The Austrian Federal Ministry of Science, Research and Economy has selected the doctoral dissertation of Dr. Sofie R. Waltl (LISER) for its “Award of Excellence - Staatspreis für die besten Dissertationen”. The honour is awarded to the 40 best dissertations completed during an academic year at any Austrian university and covers any subject. In addition to the honour and recognition, a reward of EUR 3,000 is given to each recipient. Sofie’s dissertation entitled “Modelling housing markets: Issues in economic measurement” focuses on developing and improving methodologies to measure dynamics in housing and rental markets. Since turbulences in housing markets have large effects on the rest of the economy (something particularly seen during the Global Financial Crisis), comprehensive and precise information about the evolution of house prices and their effects on rents is essential. In her dissertation, she calls for more detailed statistics: instead of exclusively focusing on average price movements reported by heavily aggregated indices, measuring the price dynamics across price segments and space hopefully leads to better policy decisions in the future. Sofie is a member of the housing observatory team where she works on research related to economic measurement focusing on housing markets and (housing) wealth in Luxembourg and abroad. Sofie obtained her PhD in Economics from the University of Graz in January 2017 following a research visit at the University of California, Berkeley. Before joining LISER in October, she worked for the European Central Bank on a research project measuring wealth inequality in Europe.